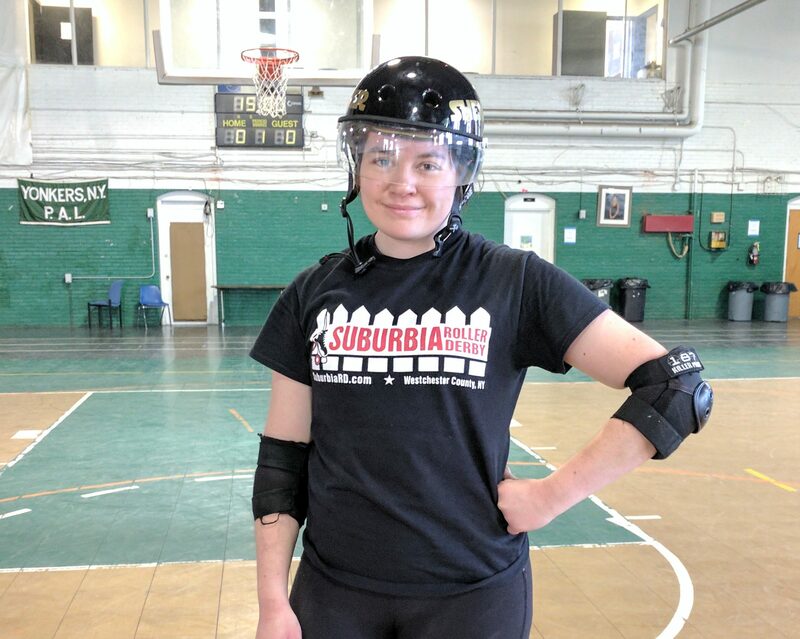 This month’s move of the month is brought to you by one of the newest members of our Coaching and Training team (and one of the newest members of Suburbia Roller Derby) ShenAnakin Skywalker. She picked Bridges as the move of the month, and even demonstrated a variation with her skates on!! We love this exercise at SRD so much that we do it before every practice. Roller Derby skaters need to have a strong core, and this exercise, also known as Hip Raises, delivers. It is also great for our favorite muscle, the gluteus maximus. To do a basic bridge lie on your back, with your knees bent, feet flat on the floor hip-width apart. Keep your arms relaxed at your sides. Lift your hips off the floor, pushing through your heels. The goal is for your body to look like a straight line from your knees to your shoulders. Squeeze your glutes and abs, hold for two seconds, then take three seconds to slowly lower back to the floor to start. If you’re ready for a little challenge you can do the same move but with your hands up in the air (like you just don’t care). This will help to engage those important muscles even more. And, of course, you can do the stationary full bridge that Skywalker demonstrated above. 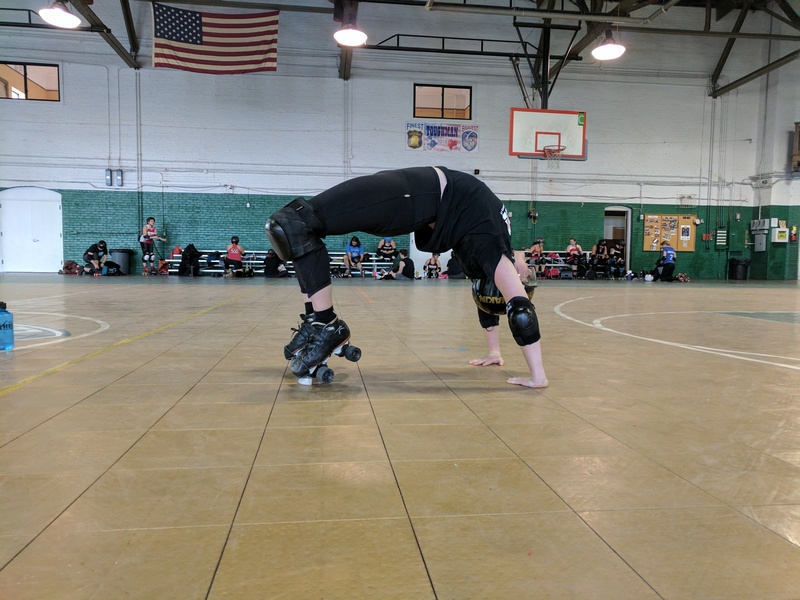 This variation uses your full body weight and also helps to strengthen your back and neck muscles, which is vital for Roller Derby skaters to protect against injury. We want to see you doing the move of the month!! Please try it out and post a picture of you working on that Derby Booty! (Roller Skates not required) And don’t forget to tag @suburbiarollerderby!